With time to kill in the bride and groom's home on Orcas Island, Washington, before needing to leave to catch a whale-watching boat, I looked for a unique place to pose their matching wedding rings. I finally found my setting hanging on their wall - a wooden relief map of the San Juan Islands. 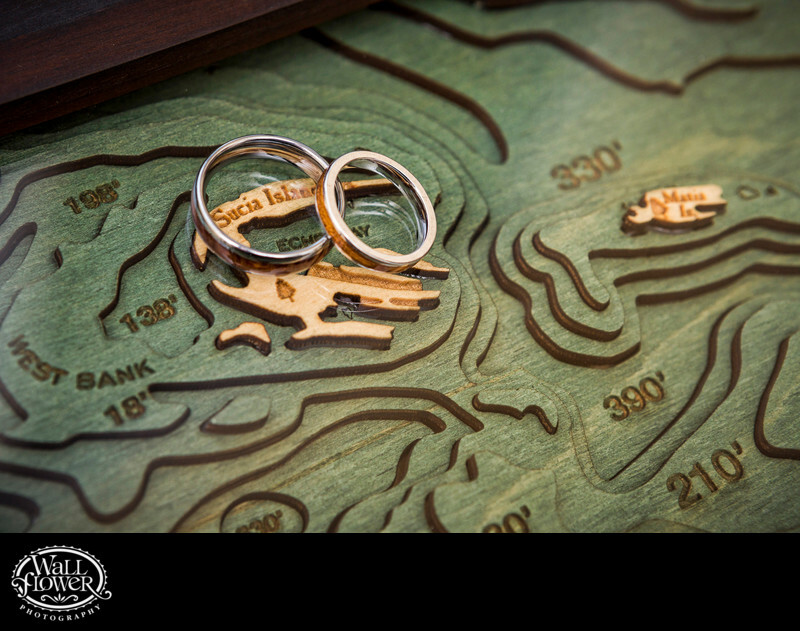 With the map carefully laid out on the floor, I posed the rings over Sucia Island, where the whale-watching boat will be taking us to the site of the wedding ceremony and reception.